‘AT’ Current Transducers from NK Technologies combine a current transformer and signal conditioner into a single package. 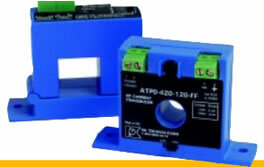 The AT Series has jumper selected current input ranges and industry standard 4–20mA, 0–5VDC or 0-10VDC outputs. 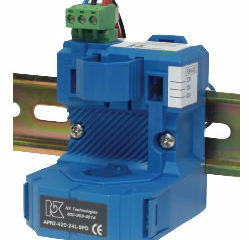 The AT Series is designed for application on ‘linear’ or sinusoidal AC loads. Available in a split-core case or two types of solid-core cases. The ‘ATQ’ Series Current Transducers sense currents from 0 to 200A and provide a patented proportional frequency output of 0-5 kHz or 0-10 kHz for use with digital-only PLCs. Useful in applications where high resolution sensing or frequency counting is needed, the ATQ Series features a jumper-selectable input and a split-core enclosure for easy installation. The ‘AP/APR’ Series products from NK Technologies are an innovative family of split-core current transducers designed specifically for DIN-rail compatibility in automation and data logging applications. A large aperture, switch-selectable inputs/outputs, and isolation between primary and secondary circuits combine to enhance product usability, safety and performance. The AP/APR Series also features the patented PRIME technology which eliminates the damaging effects of core saturation due to continuous exposure to high input currents. 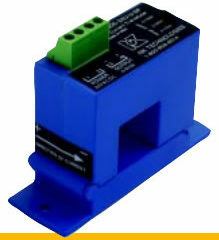 Models from 10A to 400A and with 0-5V/0-10V or 4-20mA outputs are available as standard. ‘DT’ Current Transducers from NK Technologies combine a Hall effect sensor and signal conditioner into a single package for use in DC current applications up to 400A. The DT Series has jumper selectable current input ranges and industry standard 0–20mA, 4– 20mA, 0–3VDC, 0–5VDC or 0–10VDC outputs. Available in solid or split-core packages.